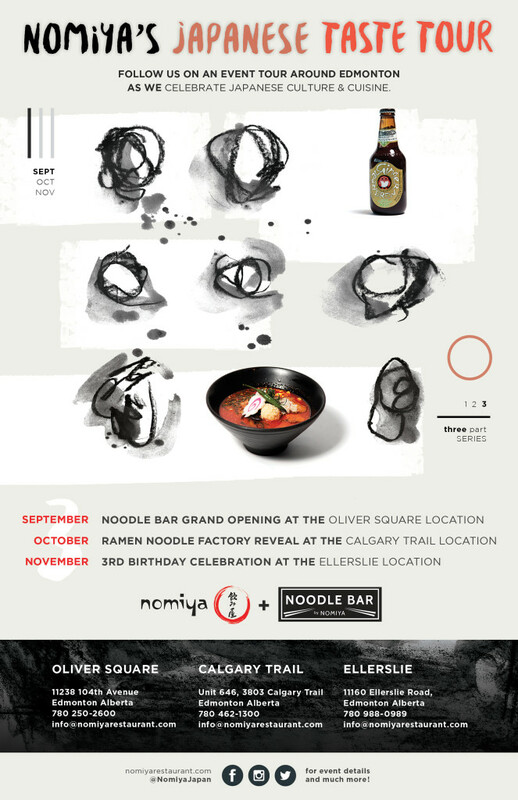 Introducing Our New Downtown Noodle Bar! In case you missed our R n’ R soft opening a few weeks ago – here’s a brief recap from our social media followers! 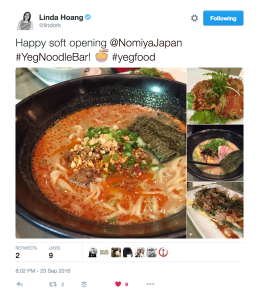 We couldn’t be more excited to be a part of Edmonton’s rapidly growing downtown community with our new Noodle Bar in Oliver Square. 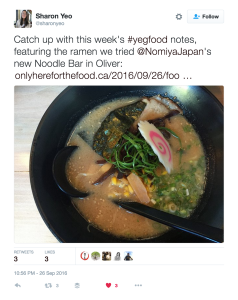 We’re serving a minimal menu that focuses on our authentic Japanese ramen dishes at our new location; the perfect quick lunch or dinner option for students or those on a quick lunch break. We’ll be open from 11:30am to 10pm every day – or until our broth runs out! With our new location comes a whole new definition of ramen that students in the downtown area may not have known existed. We’re offering a 10% discount for all students with valid ID until November 30th as our way of celebrating a more refined ramen bowl than the average university student may be accustomed to! 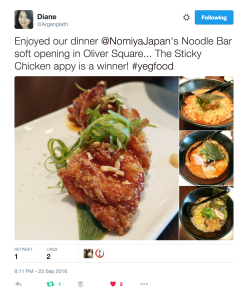 Our new #YEGNoodleBar is located in the heart of downtown Edmonton at 11238 104 Ave in Oliver Square. 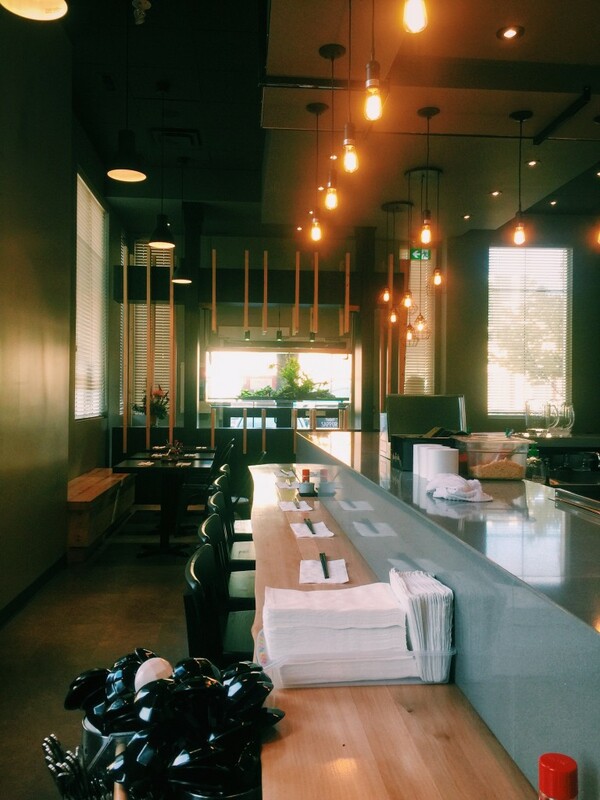 As the third location in the Nomiya family, we’re looking forward to growing with our new downtown community and offering a unique and authentic Japanese culinary experience to a whole new group of Edmontonians that have yet to see what Nomiya is all about. In addition to our official opening of our new downtown location, we’re so excited to announce the next two parts of our three-part event series! Our next event will be our Calgary Trail extension launch that will be taking place on October 29th. 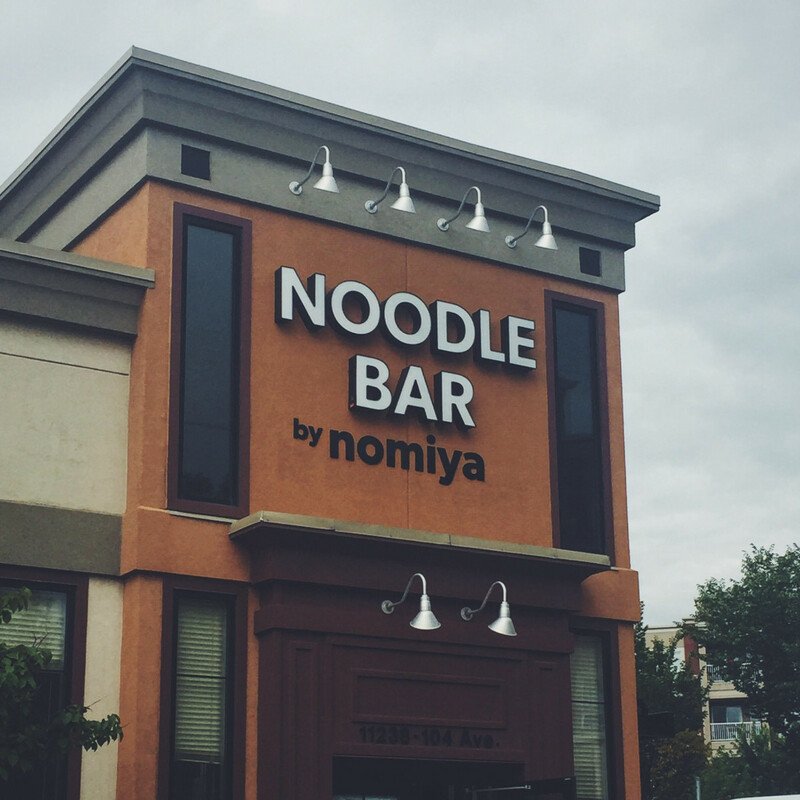 We’ll be demonstrating our newest addition to the Nomiya family – an in-house noodle maker that’ll be making all of our delicious ramen noodles from scratch! Stay tuned on social media for more details as we get closer to the event. I’m so excited to see a new Japanese restaurant! I love Japanese cuisine! One question though! Does Nomiya serve any dishes that are vegetarian friendly? Thanks! 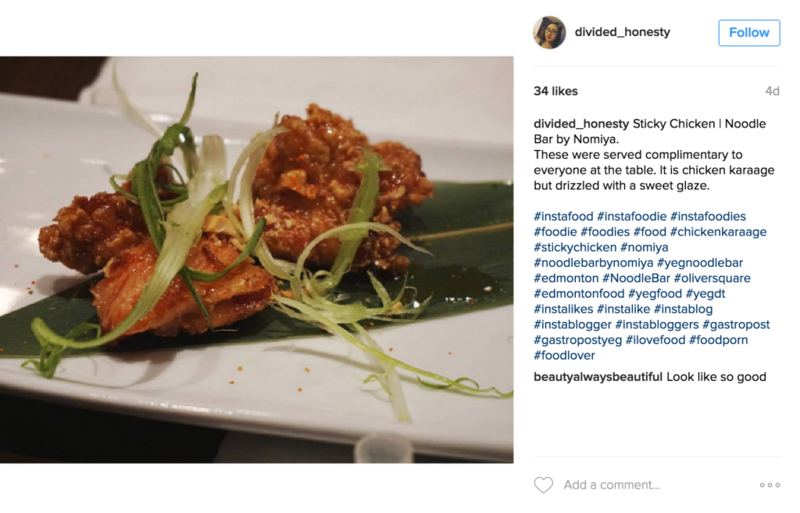 Thanks Brandy – we’re pretty excited too! 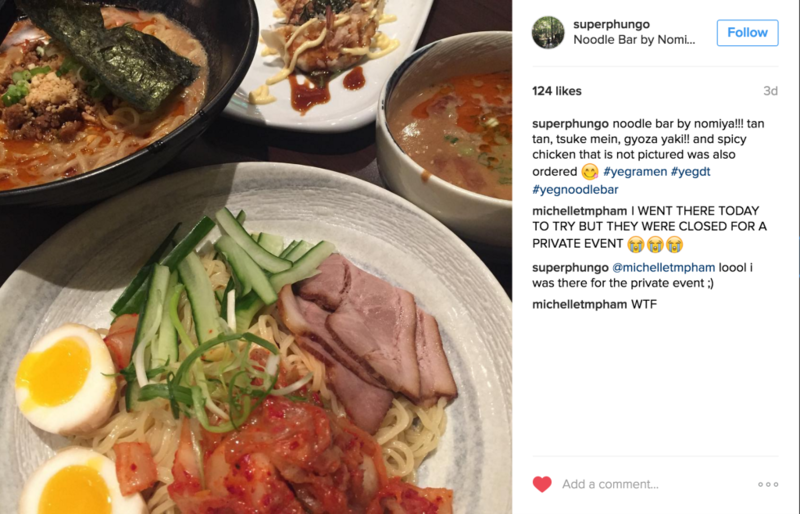 There are vegetarian appetizers at our Noodle Bar and we’re in the process of bringing vegetarian ramen dishes to the new location as well. 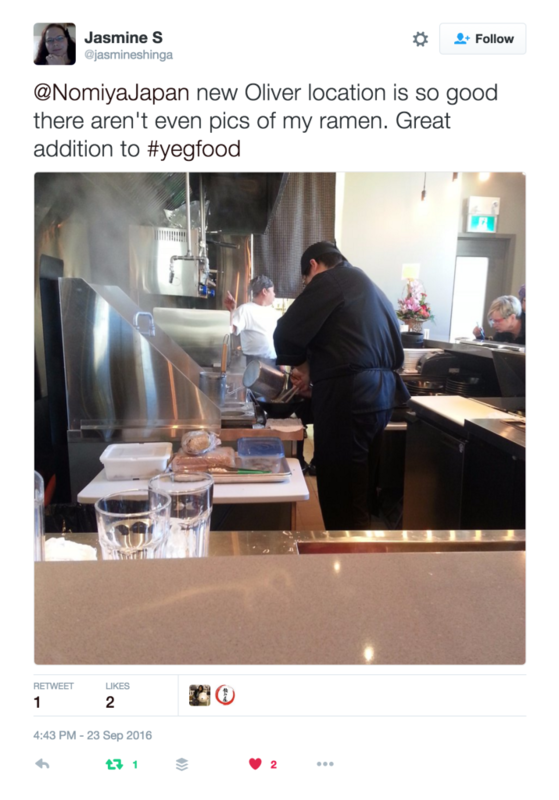 Both Calgary Trail and Ellerslie have plenty of vegetarian options too – just be sure to ask your server for our options!